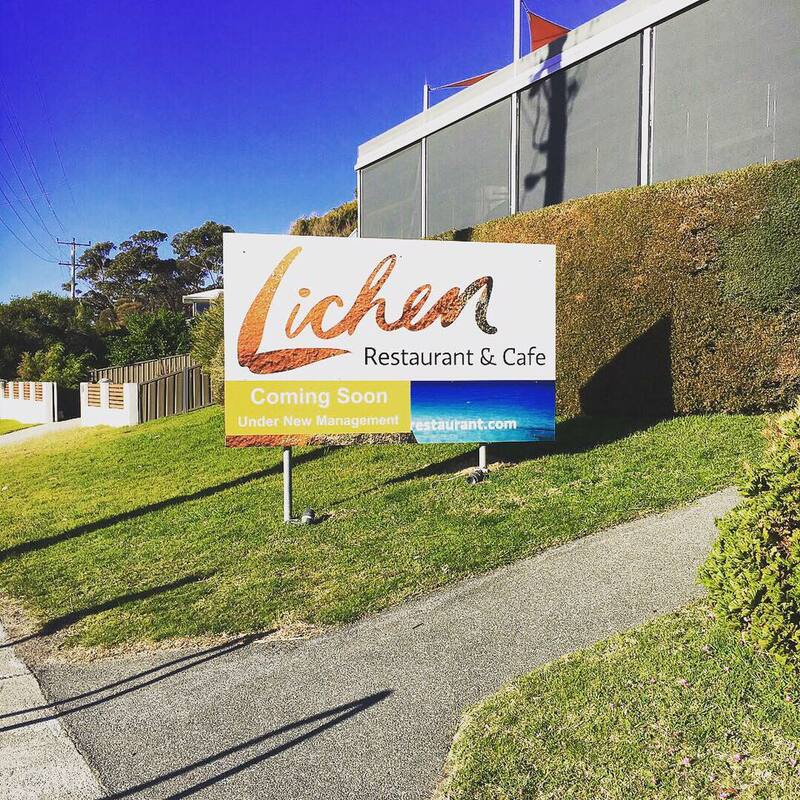 Bay of Fires Seachange is excited to inform our guests that Lichen Restaurant and Cafe is now open in Binalong Bay. Situated at 66 Main Road Binalong Bay it is just a ten minute walk from Seachange. The new manager/owners Glen and Jacquie have fully renovated and tastefully decorated the building, giving it a wonderful ambience. They have even put in a wood fired pizza oven for those casual days. Great news. 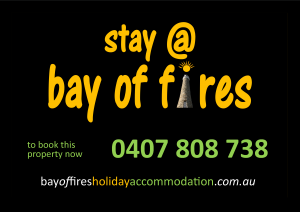 Bay of Fires Seachange is offering it’s WINTER SPECIAL again this year. Book 4 nights and only pay for 3. Yes! That’s right, GET ONE NIGHT FREE ACCOMMODATION. What a super deal. So now you will have time to take one of the new BAY OF FIRES ECO TOURS boat trips. All you need to do is get in touch with BAY OF FIRES ECO TOURS via their website, or phone them on 0499 209 756 and book a tour to see the beautiful coastline of the Bay of Fires from the comfort of a purpose built boat. You can take a 2.5 hour tour covering 28kms of pristine coastline, the history and natural beauty will be highlighted by the friendly tour guides as you head north past the Bay of Fires Conservation Area to Mount William National Park and the lighthouse reserve at Eddystone Point. The return journey takes you further offshore for a new adventure! 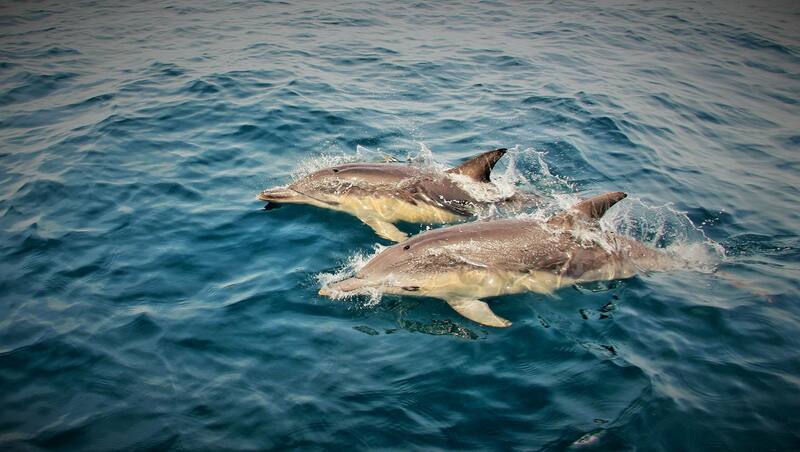 Perhaps you can even capture a super photo of the friendly dolphins like the one above. They also do two shorter trips, one heads south from Binalong Bay via Elephant Rock, Dora Point and past the entrance to Georges Bay. It passes the vast rolling sands of Peron Dunes then to ST HELENS ISLAND, where you can see the resident seal colony. Lots of birdlife also frequent the island. The other tour heads north up to THE GARDENS and takes about an hour and a half, and you can see the famous red rocks that the Bay of Fires is renowned for. So – you have no excuse not to enjoy a new experience – our free night stay will cover the cost of your trip! 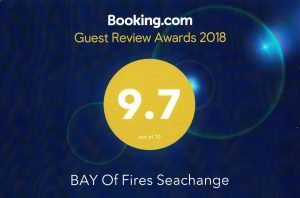 Remember to get the ONE FREE NIGHT WINTER SPECIAL DEAL at BAY OF FIRES SEACHANGE- you must book online – or via phone – direct with us.